Ron is a talented individual. He brings a high level of technical skills in many areas of packaging and material handling. Ron can be 'hands on' or act as a consultant and instructor. Running equipment at high OEE is our focus, and Ron understands that operators and mechanics need to understand the equipment and key parameters and control points. His training helps our teams to meet KPI's. Ron Crews is an equipment expert and leader in maximizing performance levels of automated packaging lines. He began his career working the line and quickly moved up to operations management. His employers noticed his ability to fine-tune and improve packaging lines, reaching higher speeds, efficiencies and yields than had ever been seen before. 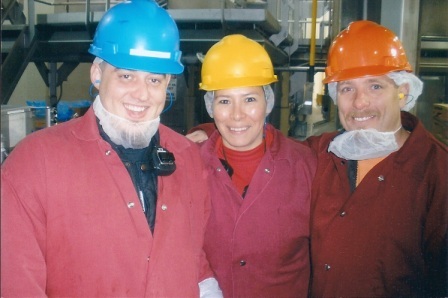 Ron was given the task to optimize packaging lines across the plant, and soon was part of an overall ERP taskforce to implement better control systems to support the improvements. Ron ascended to the position of plant manager after his tremendous success in plant wide productivity improvements. In this role, Ron was able to to improve all aspects of the operation by developing systems and processes plant wide to support the new performance levels. In 1998, Ron Crews founded Competitive Edge Opportunities Corporation (CEO Corp) so that he could use his deep knowledge and understanding of packaging equipment and the packaging process as well as operations management experience to improve performance levels for manufacturers and packagers across America. Over the years, he has worked on a variety of projects and equipment, helping businesses get their lines up and running fast, make start-ups of new products and lines meet and exceed expectations, plus reach higher productivity levels than customers thought possible. Today, Ron is the President of High Performance Packaging Group, a division of CEO Corp. At High Performance Packaging, Ron oversees our technical services group and works closely with clients to help them reach and maintain PEAK℠ performance levels with their existing equipment. Ron's entire focus is to provide quality new and used packaging equipment coupled with unsurpassed technical services backed by 25 years of proven results. The combination of these two elements positions our clients to reach the highest, most reliable productivity levels possible. Ron also conducts regular on-site training sessions for High Performance Packaging customers to ensure the skill level of machine operators and maintenance personnel is consistent with the level of expertise required to support higher levels of productivity on their sophisticated packaging equipment.